"How are similarities related to inclusion? Differences to exclusion? Can similarities correspond to exclusion? Differences correspond to inclusion?" 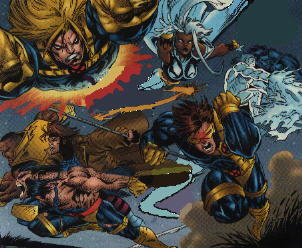 I never really read comics much but the X Men was an occassional exception. It seemed to me that their mutant qualities made for a good simple metaphor for the angst many of us go through about feeling different, especially in our teenage years. These feelings are often compounded by exclusion from other kids.